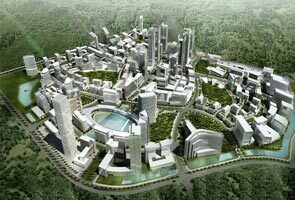 KUALA LUMPUR: Construction of the RM6 billion integrated Mid-Valley Southkey Megamall in Iskandar, Johor, which began today, is expected to be completed late 2016. The commencement of construction works ceremony for the megamall was launched by Southkey Megamall Sdn Bhd a 70:30 joint-venture between IGB Corp Bhd and Selia Pantai Sdn Bhd. "It took us 15 years to get Mid-Valley City in Kuala Lumpur to what it is today. "Hopefully, it will take us only half that time to materialise this in Johor," said IGB Group Managing Director Datuk Seri Robert Tan in a statement today. He was confident the megamall's central and prime location would draw Singaporeans to shop and holiday in Malaysia, adding that the project would be IGB Group's first foray into Johor. "We are always on the lookout for opportunities. Ideally, we want to have Mid-Valley City-type developments in the south, central and north (Penang)," he said. IGB is the owner and operator of Mid Valley City in Kuala Lumpur while Selia Pantai is a public-private partnership between Selia Group and Johor State investment company, Kumpulan Prasarana Rakyat Johor. Selia Pantai, which owns 133 hectares of prime land within flagship Zone A (Johor Bahru City Centre) of Iskandar Malaysia, is also the developer of the Southkey township.